Continuing my series on data import into PostgreSQL database, this covers a quick way of getting some sample SQLServer data into Postgres. 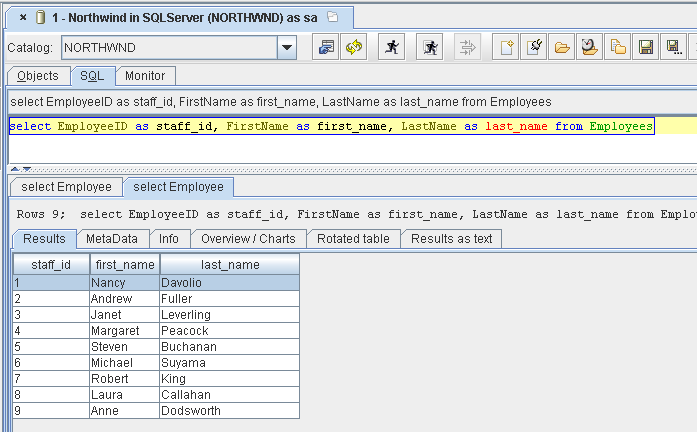 For this example, I’ll be performing a quick ‘n dirty transfer using SquirrelSQL, a cross-platform database tool. Initally, I tried the DBCopy plugin in Squirrel, however it errored out on type conversions from SQLServer to Postgres. With no means to easily configure, DBCopy was a dead end. Instead, I just used Squirrel to export a CSV file of data from a SELECT query against the employees table. 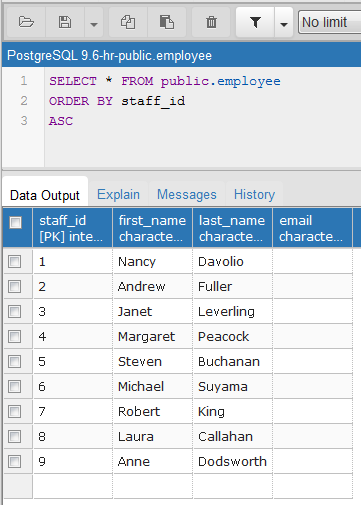 With that query executed, select the ‘Session | Scripts | Store result of SQL in file’ option. 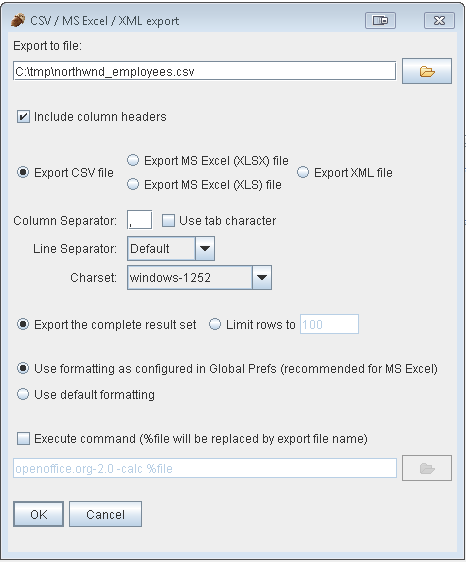 Choose CSV as format and save to a temporary location. While this works, I wouldn’t recommend this apporach except for one off jobs as it’s not easily automatable or extensible. It’s a pity the DBCopy plugin which allows copy/paste of entire tables doesn’t support more column type mappings.